Take a virtual reality tour of NYC during the most wonderful time of the year! camera (ABC News) Santa Claus in Macy's Santaland is seen on Dec. 4, 2015 in New York. It’s that time of the year again. Decorations everywhere, people shopping and making travel arrangements. Remember the old days when your dad used his Olympus camera to capture the visit to Santa? And then years later he brings out Sony’s first DV camcorder to film the Christmas dinner? Now, what would he think of using Jaunt’s 16 lens camera to capture a virtual reality (VR) experience of the holidays? Forget the days of seeing 2D video or an Instagram feed of your friend’s trip to the Rockefeller Center Tree. 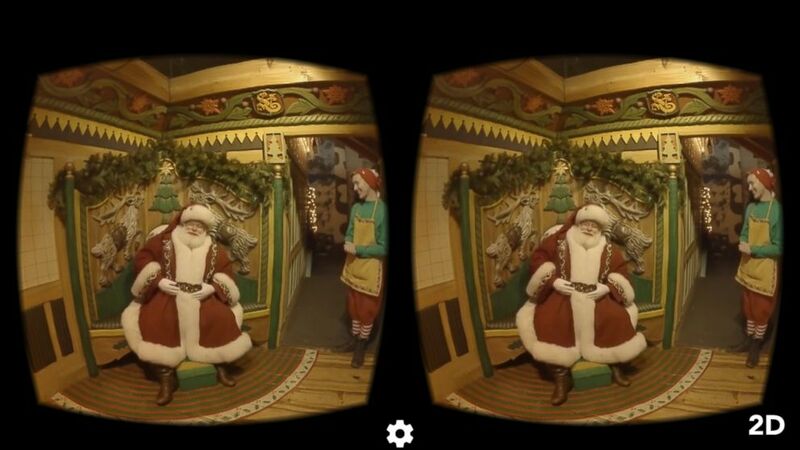 Grab a cardboard VR viewer or a Samsung Gear VR headset to teleport yourself to NYC during the most wonderful time of the year. Stand in the middle of an ice rink in Bryant Park or be face-to-face with Santa Claus. Visit the elaborately decorated homes in Dyker Heights, Brooklyn, right in the comfort of your home. Download the Jaunt app on your iPhone or Android device to experience "New York City Holiday Cheer." For future notifications on ABC News VR projects, just "star" this story in ABC News' phone app. Download ABC News for iPhone here or ABC News for Android here.